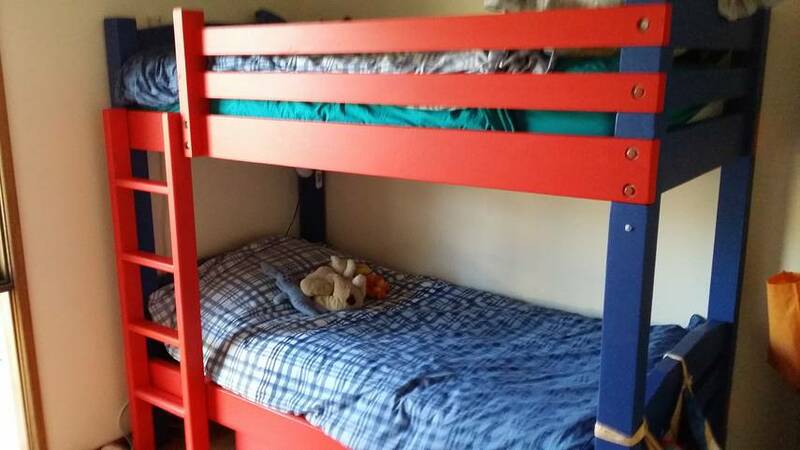 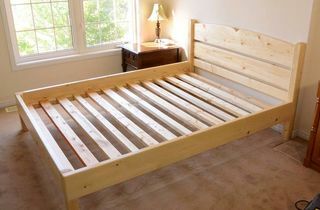 Don Cunniff was looking for a twin over double bunk bed, but found it difficult to find any that were of sufficient quality and sturdiness for older kids. 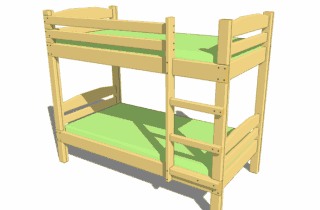 With the design comprised of 2x4 lumber, there is plenty of strength to support the top bunk without having to worry about the structure becoming tipsy or damaged in the course of kids doing gymnastics on it. 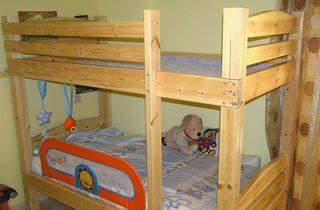 Jason Pell also sent some pictures of his bunk bed. 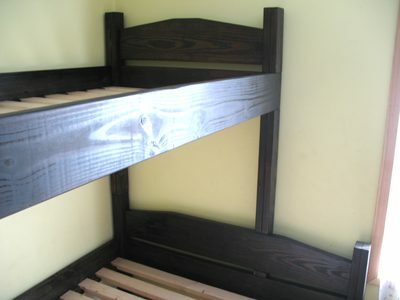 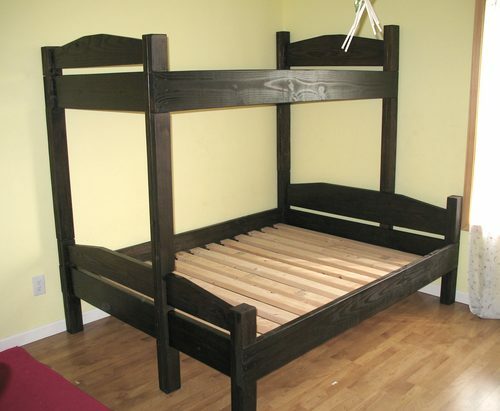 I finally found time to finish those bunk beds based on your plans. 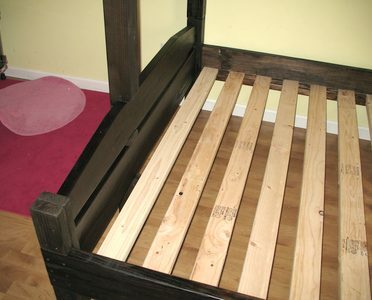 I made one change to make the ladder removable. 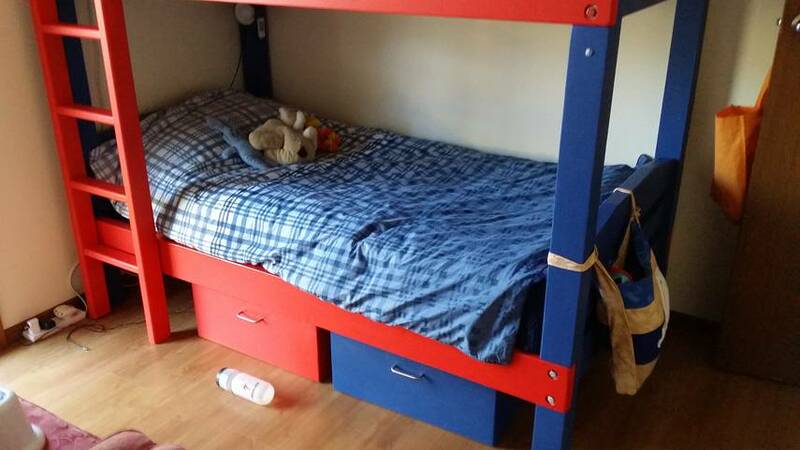 I also added under bed boxes with same colour scheme. 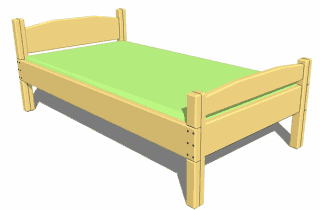 Back to Bed plans page.